TeamPage helps busy HR teams by centralizing communication, documents, Q&A, and personnel data in one flexible location. Streamline the process of getting information into your team's hands using a centralized dashboard. Policies, training materials, Q&A forums, and announcements, all at their fingertips. Create, revise, share and manage all of your important documents in one location. Read/write permissions and detailed versioning history allows you to control the message. 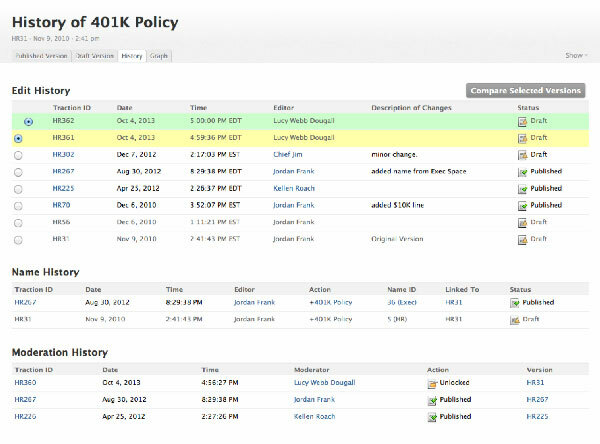 Customizable profiles enable you to keep tabs on your employee's data and accomplishments. Powerful, smart search tools make finding competencies within your organization painless. HR Teams are bombarded with questions on policies, benefits, training opportunities and a wide range of other issues. 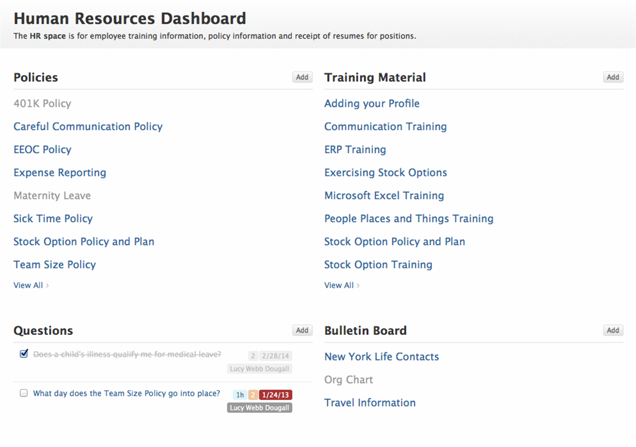 Use our highly-configurable dashboards to give your team access to the information that matters to them, such as policies, training material, and company announcements. You can also give your employees a vehicle for asking questions using our q&a configuration. Capture the questions and answers in an area private to the HR team. Assign specific questions to subject-matter experts using tasks. Organizations have processes that are hard to typify using generic user roles. Our permission controls are customizable and flexible to fit the unique characteristics of your company. You will have the ability to have different permissions based on the content type and specified for many different actions. You can determine who can author, edit, publish and read both drafts and published articles. All modifications and activity is tracked in our moderation history. 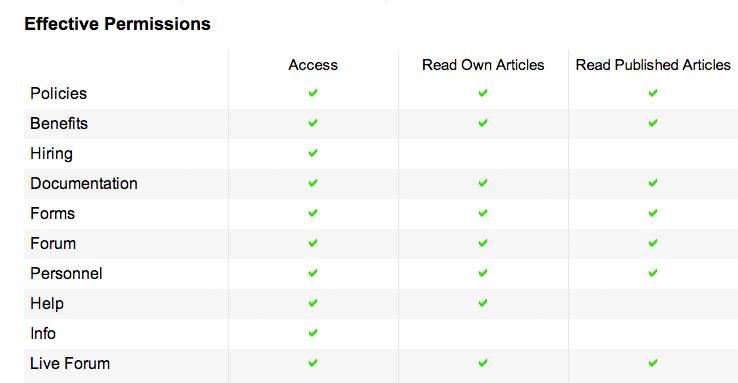 Moderation history even tells you when certain versions were published or unpublished. The ability to read Edit History is a permission, so you can also restrict this information to the core HR team. Using our profiles, you can track customizable data about your employees, from skills and work history to allergies and t-shirt size — whatever information is meaningful to your organization. This information can be easily accessed through our powerful search tool and turned into meaningful data sets using our reporting tools. Empower your HR department with TeamPage. They'll love your for it.